Built in 1938, the Dental College originally functioned as an isolation ward but became a school of dentistry in the 1940s. The building remained in use until 2009 when it was abandoned. 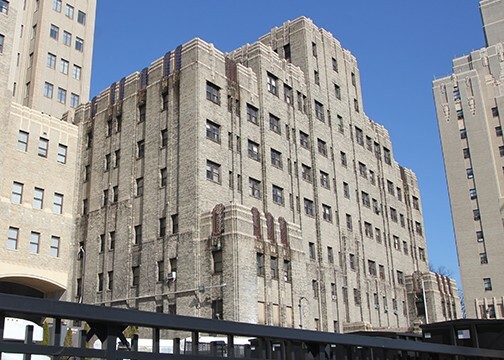 As the Dental College retains its characteristic Art Deco form and has integrity as a former hospital building, it remains a contributing resource as part of the Jersey City Medical Center. 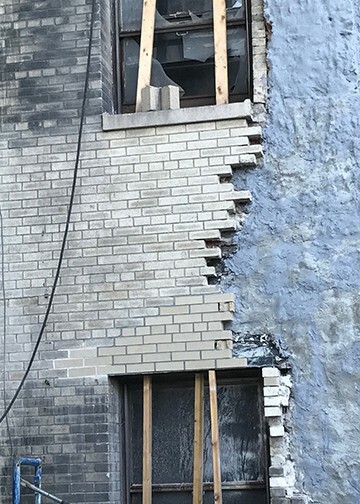 As part of an ongoing Federal Historic Preservation Tax Incentives application completed by Powers & Company, Inc. for the building, a comprehensive condition survey of all exterior masonry was undertaken. Both the exterior brick and terra cotta were in extremely poor condition due to years of deferred maintenance. The brick, which was had an unusual iron spot finish, required extensive replacement and terra cotta was structurally unstable. 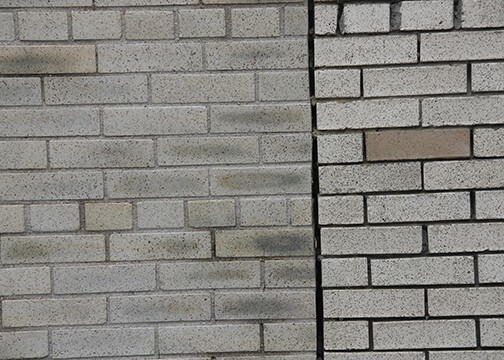 In addition to these repairs, both elements required repointing and comprehensive cleaning. 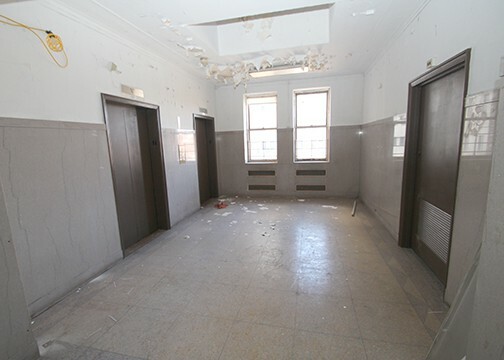 When complete, the historic building will be renovated into residential units with a commercial space on the 1st floor.